Create a personalised baby gift, birthday gift or Christening gift for a special girl or boy. Attach A JPEG, PNG or BMP file. 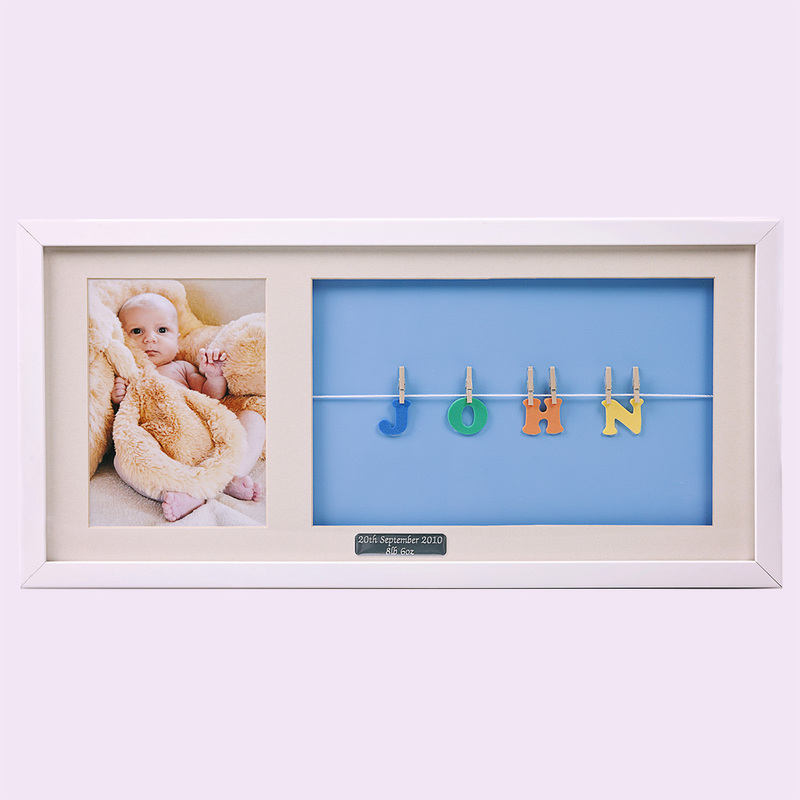 A handcrafted product containing the child’s name mounted in a real wood frame, finished in matt white. This frame has the space to display a photo of the child. Please attached it when ordering. Each frame comes with an engraved chrome plaque which can contain his/her date of birth, birth time, birth weight, Christening date or a personal message of your choice.